Keep your training current. 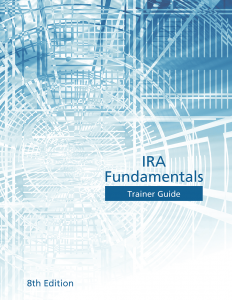 The IRA Training Organizer™ is updated annually for COLAs and legislative changes. Past purchasers can order a new, updated version that includes (1) Trainer Guide, (1) Trainer CD, (1) Presentation Notes, and (1) Student Guide.